The Mr. threw me a loop by ordering something unexpectedly healthy: The Farmstand (he usually leans towards sausage based breakfasts). 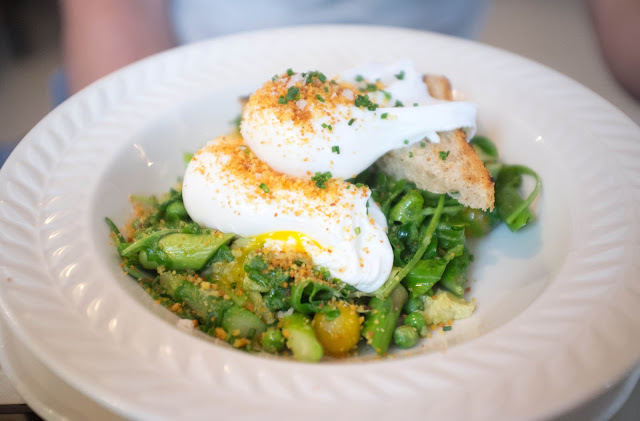 Poached eggs and toast served over a bed of asparagus, peas, artichokes and pesto, all sprinkled with breadcrumbs. As a former Texan, I simply can't resist the lure of Migas and I felt very confident that the Tipsy Parson wasn't going to let me down on this one. I was ooooh-so-right. 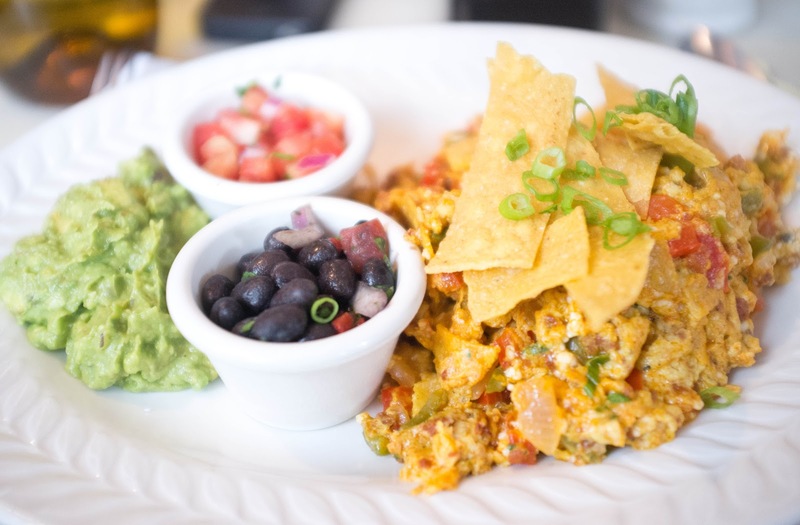 Eggs scrambled with chorizo, cotija, peppers, onions, cilantro, and tortilla strips for that crunchy texture. Served with a side of pico de gallo, black beans, and guacamole. Fantastic! I absolutely ADORE the Tipsy Parson. 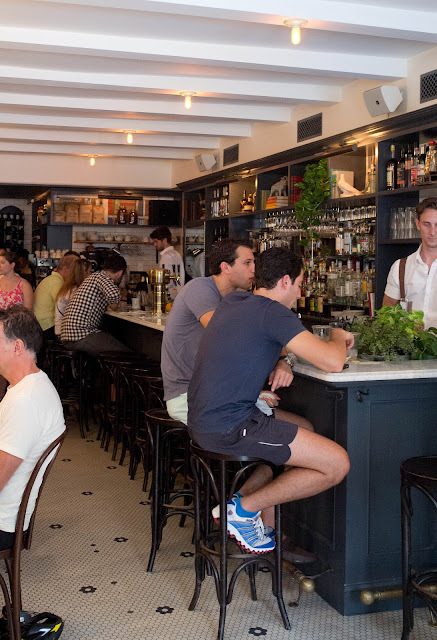 Adorable details, friendly waitstaff, and fantastic food, all within a few blocks of my apartment. Word of warning though, if suspenders and ironic mustaches don't tickle your fancy, this may not be the spot for you.